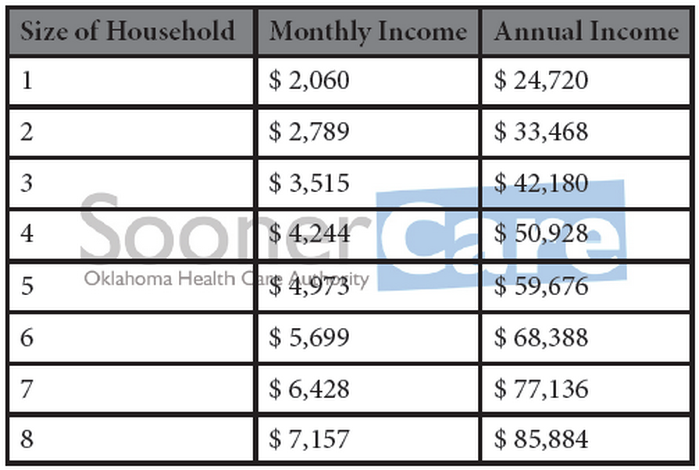 Children & Soon-To-Be-Sooners (STBS) may qualify for SoonerCare Services* if their tax household's Modified Adjusted Gross Income (MAGI) is within the following guidelines. 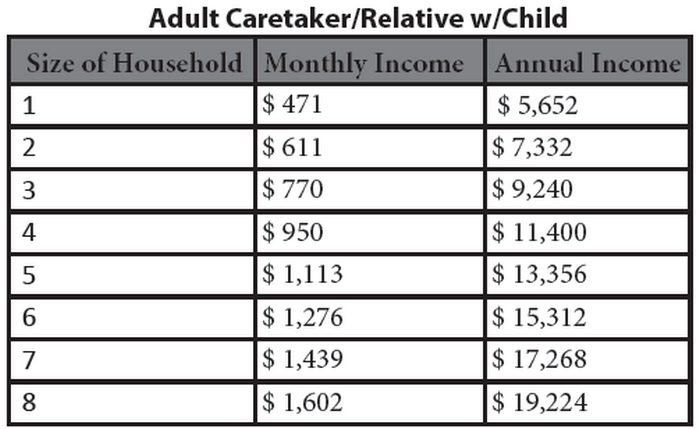 *In addition to income, there are different eligibility requirements andbenefit packages available. Visit www.okhca.org/programs for details. Think your income may be a little too high? 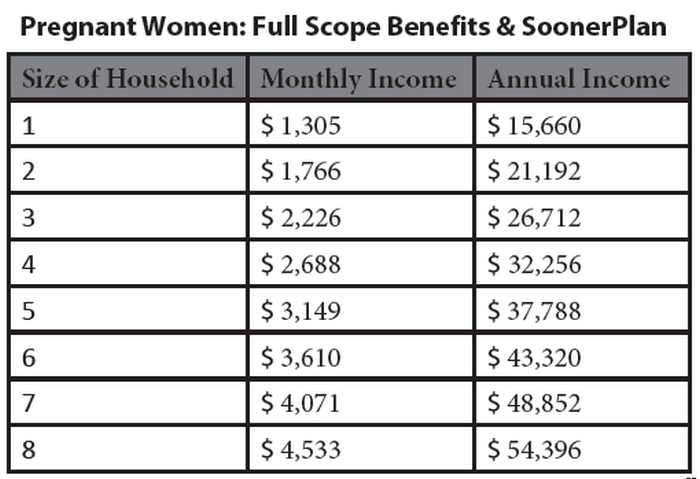 Apply anyway—some applicants qualify for SoonerCare with slightly higher incomes.